Argonaut are back with a new line-up and a new EP. You’d never guess from the title about there being a new EP. Having booked the studio for eight hours, the whole session was wrapped in six, with ‘minimal overdubs or embellishments’ as they put it. This honest, unlaboured approach gives the songs a directness and urgency which is integral to the appeal here. 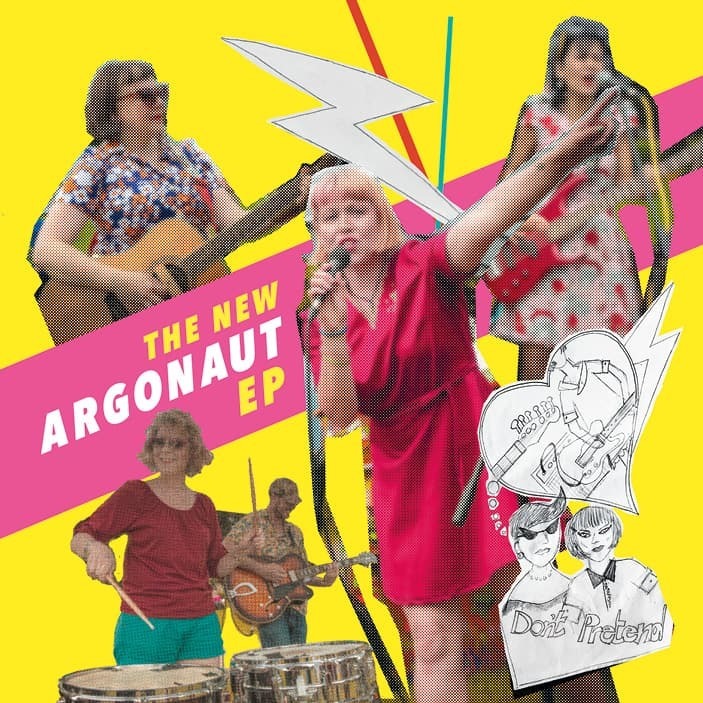 All clocking in at between two and a half and three minutes, the four tracks on Argonaut’s latest offering are punchy, spiky, and with uncluttered arrangements and lo-fi production values, are perfect examples of punk/new wave crossover, delivered with the zeal of riot grrrl and grunge. And it’s great fun. The band indulge their pop tendencies with a gloriously joyful rendition of Strawberry Switchblade’s ‘Since Yesterday’ (they do quite a line in covers, as it happens). It’s faithful to the original, but where the original was a shade twee, their take is free, vaguely ramshackle, and has a superbly messy guitar sound fizzing away. With guitarist Nathan sharing the vocal duties on ‘March!’ – which is built around a simple, cyclical chord sequence played jangly and off-kilter – they come on like Brix-era Fall, and it’s the exuberance that crackles from ‘Girl Talk’ that pretty much serves to define the spirit of the EP.